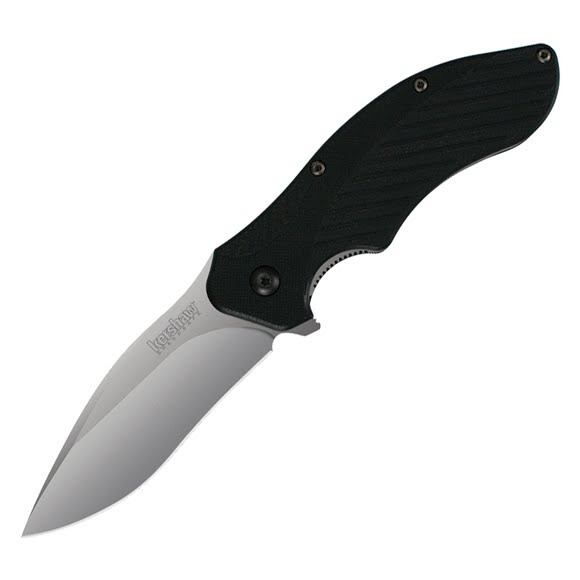 You will be amazed at the solid feel, fast opening action, and generally awesome utility of this sweet blade. The Clash's 3-inch blade is just right for most tasks. It'll take on boxes, heavy plastic, rope, or whatever you need without complaint. The blade has plenty of belly and just the slightest hint of a recurve to improve slicing without being hard to sharpen. The Clash&apos;s 3-inch blade is just right for most tasks. It&apos;ll take on boxes, heavy plastic, rope, or whatever you need without complaint. The blade has plenty of belly and just the slightest hint of a recurve to improve slicing without being hard to sharpen. The Clash&apos;s blade steel offers stain and wear resistance as well as good strength. The Clash opens with SpeedSafe assisted opening for a satisfying "twack" as it locks into place ready for use. Both left and right-handed users can open the Clash one-handed thanks to the ambidextrous flipper. Once opened, the blade is secured by a locking liner and releases easily when your task is done. The Clash&apos;s handle is somewhat wider and thicker and has a deep index-finger indentation. The combination makes for a knife that provides an extremely secure grip. The glass-filled nylon scales are textured to enhance grip even more. Overall Length 7.4"; Closed: 4.25"